OK let’s do this! 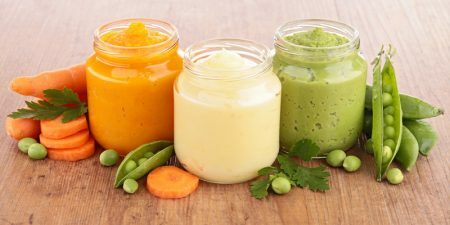 So your baby is around 6 months of age and has showed the signs they’re ready to begin solids and now you’re wondering how get started? This page will detail how to prepare to feed and what you need to have thought about to make feeding successful. It’s important to pick a good time to introduce solids. Pick a time when your baby is awake and you’re both calm. A breast or bottle feed half an hour or so before you start a solid feed is important. Remember breast milk or formula is still the most important part of your baby’s diet. Get your equipment prepared and ready! The food! Avoid adding salt, sugar or other flavourings to food since babies have sensitive taste buds. Can be finger foods, semi solid or puree. 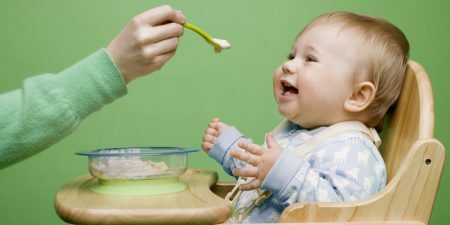 If using a spoon, hold the spoon before baby’s mouth and see what they do. Make sure it is baby’s decision whether to eat or not. 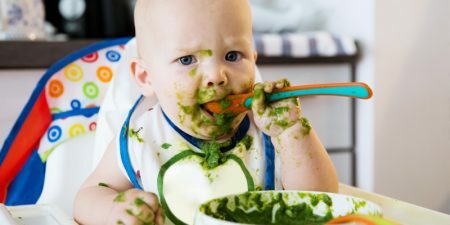 Let your baby eat their way. Allow enough time for baby to explore and eat at their own pace and look for signs if they’re not interested anymore. Bring baby to the table with you when you eat. They love being with you, and they begin learning what eating is all about. 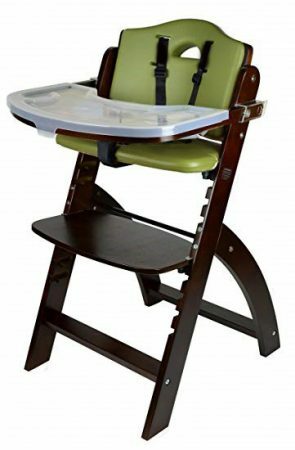 Stop feeding when baby is done opening, swallowing, smearing, dropping, banging. Talk or play a while after feeding. Don’t dump the food on the tongue OR scrape the food into the palate. Let your child suckle on the spoon. Try not to clean any food off your baby’s face or lips with the spoon during feeding. Give your baby time to explore and eat at their own pace. 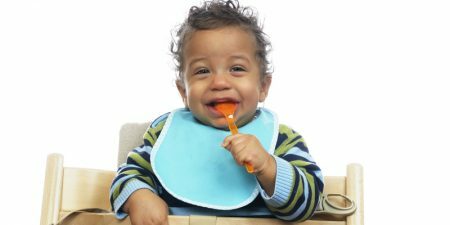 Some babies may only eat 1/2 teaspoon at first or have a small chew of a finger food, others may have more. Include baby during meal times so they can learn what eating is all about.